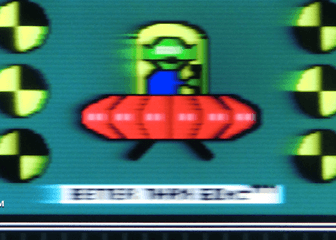 Presenting updated instructions for 120 Hz refresh rate on existing 1080p or 4K televisions or DLP projector, on this page’s sixth anniversary, 2013-2019! 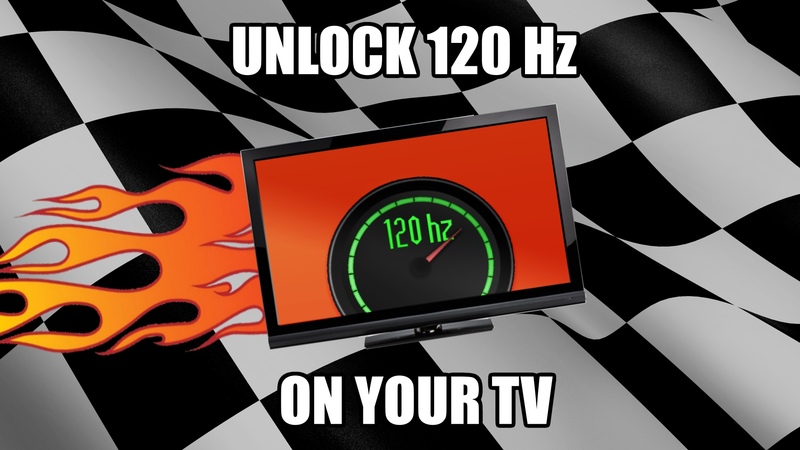 Unlock True 120 Hz Refresh Rate On Your Television! Purpose: Use TV as a 120Hz computer monitor. Smoother motion and less input lag. Supported Displays: Many HDTVs have hidden true 120Hz support. This includes Active 3D HDTV’s (the type that use electronic shutter glasses), as well as 4K Ultra HD televisions. Alternatives: See List of 120Hz, 144Hz and 240Hz Monitors for computer monitors instead. Many TV’s do 120Hz internally for a different purpose (e.g. motion interpolation, active 3D). These TV’s support the dot clocks necessary for a true 120Hz refresh rate. Historically, this was called “refresh rate overclocking”. However, most newer HDTVs already support true native 120 Hz as an unadvertised feature. 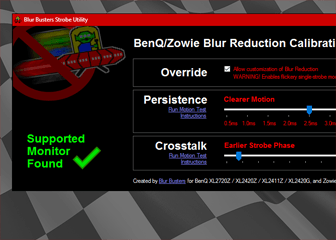 120 Hz has 50% less motion blur than 60 Hz, for text scrolling, panning, and video games. 120 Hz allows you to natively play HFR 120fps video on your computer. Try the easy instructions at Oh No, I’m At The Wrong Refresh Rate. If 120 Hz does not show up, try testing a lower resolution and see if 120 Hz shows up. Try 1920×1080 on a 4K HDTV. Try 1280×720 on a 1080p HDTV. Try 1280×800 on a DLP projector. If 120 Hz shows up and it works, you’re done! Use NVIDIA Control Panel or AMD Catalyst Control Center if you have an AMD or NVIDIA GPU. Try testing 1920×1080 on a 4K HDTV. Try testing 1280×720 on a 1080p HDTV. Try testing 1280×800 on a DLP projector. This is a method that works on both GeForce and Radeon. 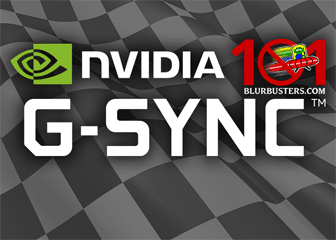 (For GeForce, NVIDIA’s Custom Resolution feature can also be used). Install a Manual EDID override. This is the hardest method, recommended only for advanced users. If you need to get familiar with how EDID overrides are installed, see 3D Vision Blog Instructions (different purpose), and Microsoft technical info. DISCLAIMER: Follow these instructions at own risk. Blur Busters disclaims all responsibility for any possible damage or disruptions. Historically, nobody has ever reported television damage from doing this. However, please follow the Tips below for software recovery instructions if you accidentally misconfigure your computer. Try the EASY Instructions First. Do the ADVANCED Instructions only if the EASY instructions don’t work. If you are connecting multiple screens to a computer or laptop. When using multi-monitor, 120 Hz is easier when not duplicating or mirroring. 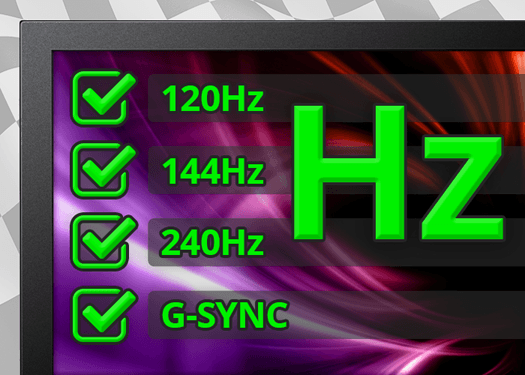 Only some of the GPU outputs may support 120 Hz. Only some of the television inputs may support 120 Hz. If you have a very old HDMI cable (over 10 years old), try a newer HDMI cable. If you have a single-link DVI cable or DVI-to-HDMI adaptor, you can only do 120 Hz at 1280×720. You need dual-link DVI cable in order to do 120 Hz at 1920×1080 over DVI. 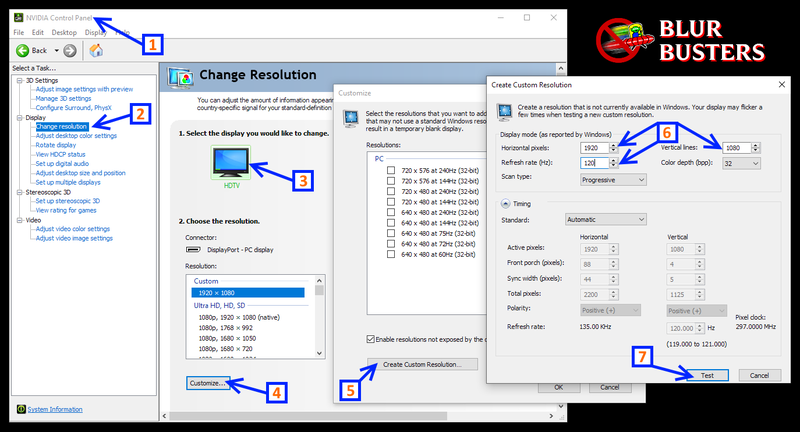 If you have problems with ToastyX Custom Resolution Utility, just run “reset-all.exe” to undo the changes made by the ToastyX Custom Resolution Utility. Your screen may go blank, black, and/or display distorted graphics until you reset back to 60 Hz. Normally, the refresh rate test should automatically switch back to 60 Hz if you are unable to successfully confirm 120 Hz. In the event you accidentally get stuck in an unviewable resolution or refresh rate, you can reboot into Safe Mode via pressing F8 while turning on your computer. From there, you can switch back to 60 Hz via Control Panel. 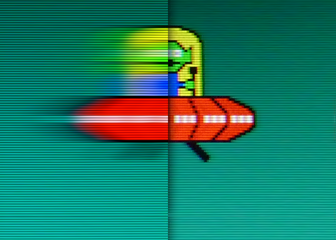 The 120 fps UFO should have approximately half the motion blur of the 60 fps UFO. If the 120fps and 60fps UFOs look identical, run the TestUFO: Frame Skipping Check. If your television is skipping refresh cycles, try a lower resolution such as 720p instead of 1080p. No fake frames. No interpolation tricks. No Motionflow voodoo. True 120Hz! 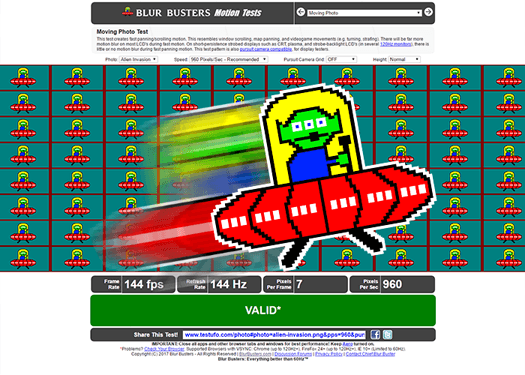 If you have a success report in doing 120 Hz HDTV refresh rate, please feel free to post your TV model in the Blur Busters Forums! This FAQ has been updated for 2019 on this page’s sixth anniversary! 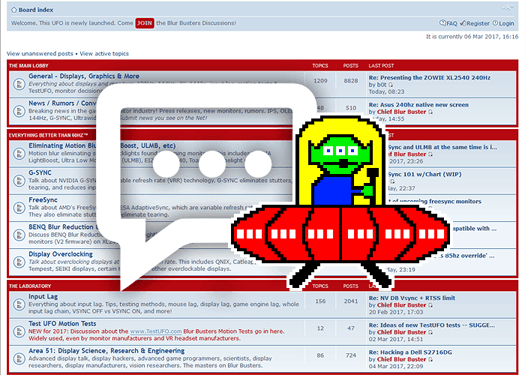 The original FAQ was written in February 2013 and first published on February 20, 2013. Now 4K TVs and projectors supporting 120 Hz native at a lower Hz beknownst to many. The 2017 or 2018 LG 4K OLED HDTV already supports 120Hz at 1080p for example. And many 1080p and 4K DLP projectors already support 120Hz during 1280×800. Also, it is much easier to create custom refresh rates in 2019 than it was in 2013, so easier diagrams have been added. Has anyone had any success using the method above to run 120hz on the LG OLED55B6V TV? My computer is currently not working, so I cannot test it. But [email protected] would be the absolute dream! I know the B7 version (which is the 2017 model) is supposed to have the option of displaying at 120hz by default, but us that have the 2016 version are not so lucky. Maybe the method above can do the trick. Hi! I have a Samsung UN32H5550 television wich is, supposely, [email protected] The problem is that even doing all that you have sugested I can only get the max of 75Hz. I’m using a high speed hdmi 1.4, a Nvidia GTX 980 with the pixel clock patch but my TV refuses to run at 120Hz. What can I do next? E601i-A3 running at 120Hz at 1920 x 1080 with Nvidia’s custom resolution settings. Make sure to use HDMI 1 directly from PC to TV as using any other HDMI input or running it through a receiver results in really noticeable display lag and lack of ability to overclock display at 1080p. Thank you for the information! While it may not help too much on the already existent 31ms display lag, it certainly makes screen blurring much less noticeable and any quick movement to be silky smooth compared to running it at 60Hz.